The Endless Mountains Heritage Alliance was in full attendance at a meeting held recently in Sullivan County. Among those reviewing the new year’s itinerary and grants cycle were (top, standing, from left) Wyoming County Commissioner Judy Mead, Susquehanna County Commissioner Betsy Arnold, Bradford County Commissioner Ed Bustin, and Sullivan County Commissioner Wylie Norton. 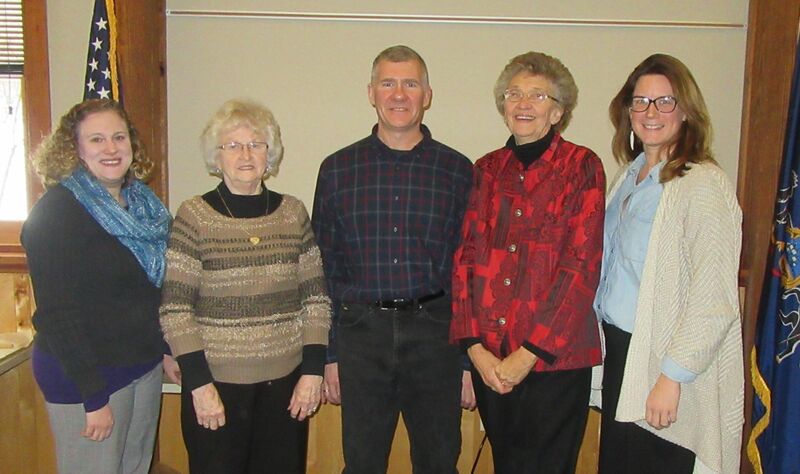 Wyoming County board members who attended the February meeting of the Endless Mountains Heritage Region included (above, from left) Erica Rogler, Marion Sweet, Rick Hiduk, Judy Mead, Lynnelle Welch. 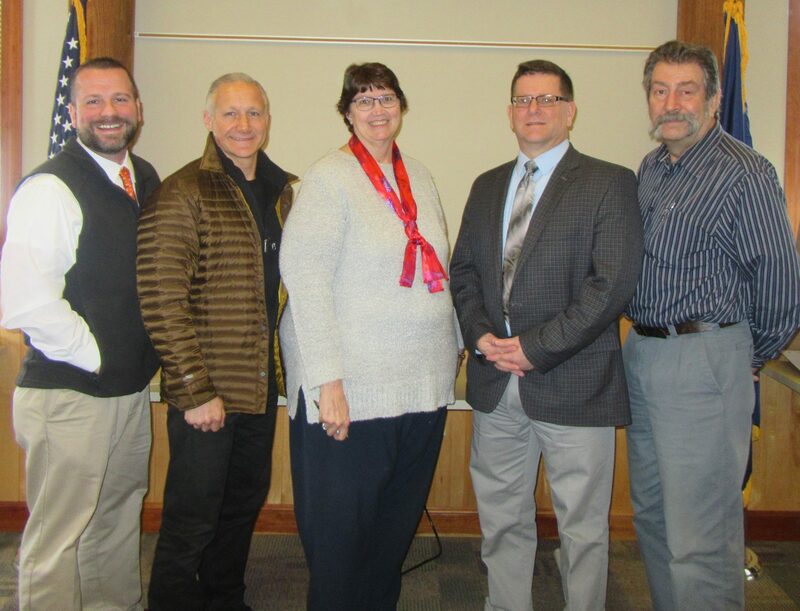 The Endless Mountains Heritage Alliance (EMHA), which oversees heritage projects within the four-county Endless Mountains Heritage Region (EMHR), met at the Loyalsock State Forest Resource Center on Feb. 1 to discuss programming and promotions for the coming year, to look at projects that will move forward with DCNR funds allocated by EMHR, and to hear a presentation about a potential hiking trail system that would provide recreational corridors connecting three counties. EMHR Greenways Coordinator David Buck related that staff members are taking the momentum the EMHR gained via the River of the Year award in 2016 and applying that recognition and enthusiasm to a number of river-related events planned for 2017. 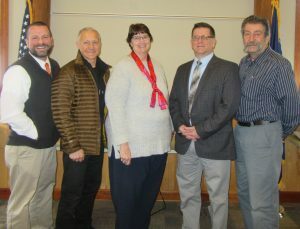 Buck and EMHR Executive Director Annette Schultz planned to meet in Susquehanna County on Feb. 8 to help organizations there plan for a River Fest at Susquehanna Depot and Great Bend in August. Also in February, Buck intends to conduct North Branch Water Trail meetings in Danville, Wilkes-Barre, Tunkhannock, Towanda, and New York state. The first official paddle of the year will involve students and begin at the headwaters of the Susquehanna River in Cooperstown, NY from April 20 to 23. On Saturday, April 22, Friends of the Howland Preserve will host a student art show at Vosburg Neck in Wyoming County. EMHR will return to Vosburg Neck for the two-day Vosburg Festival on Saturday and Sunday, May 6 and 7. Students from school districts through out the Heritage Region will be invited to participate in an educational paddling sojourn from May 12 to 14. Another youth paddling event is slated for May 24 from Falls to Harding in Wyoming County. EMHR is the designated coordinator of all events on the North Branch Water Trail from Cooperstown, NY to the confluence with the West Branch Susquehanna River at Shamokin Dam, and many activities are planned to accommodate 444 Paddlers – those interested in paddling the entire 444 miles of the Susquehanna River from Cooperstown to Havre de Grace in Maryland. One of those trips will take 444 Paddlers from Great Bend in Susquehanna County to Binghamton, NY, and on to Athens in Bradford County in May. Key events in the four-county region at which people can learn more about the EMHR will include Founders Day in Tunkhannock on June 24, Laceyville Community day on July 8, Athens Street Fair on June 21 and 22, Tunkhannock’s River Day on June 22, Friends of the Howland Preserve River Celebration on July 29, Susquehanna Sojourn and River Fest at Susquehanna Depot/Great Bend from Aug. 2 to 6, Women in the Wild on August 12, Towanda Riverfest on Aug. 19, a Mad Dads Paddle on Sept. 10, and a Snowflake Paddle to Shickshinny on Nov. 4. Schultz and EMHR Program Coordinator Hillary Robinson presented an overview of projects that will proceed in 2017 with the help of DCNR Community Conservation Partnership grant awards. They include, in Wyoming County, structural repairs to The Oldest House in Laceyville, a heritage speaker series at the Wyoming County Cultural Center, and DL&W replica signs for the Nicholson Heritage Association. In Susquehanna County, continued renovations to the Yarns Cider Mill will take place in Clifford Township, and placement of more Susquehanna County Heritage Attractions signs is planned. Projects in Sullivan County will include interpretive exhibit technology improvements at the Eagles Mere Museum and two interpretive signs to be placed with assistance from the Sullivan County Historical Society. 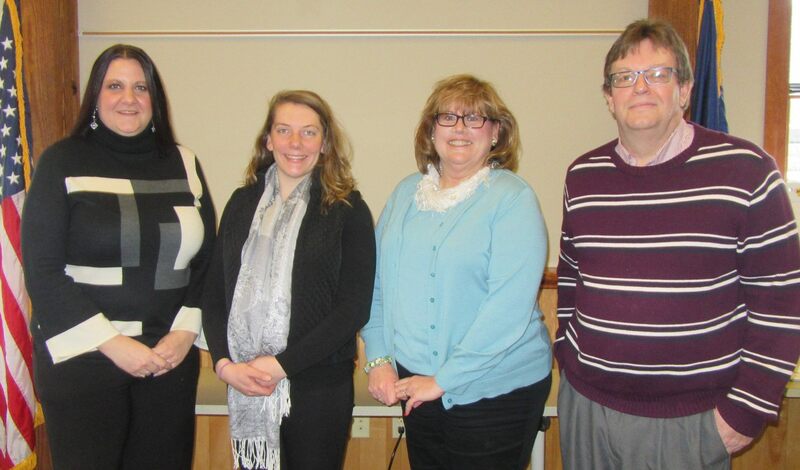 A fund was also procured from DCNR for an expansive communication and interpretive strategies plan for the EMHR. EMHR and its partners appreciate the continued support of the governor and legislature for our heritage areas, which are funded by the state through Pennsylvania’s Department of Conservation and Natural Resources, Schultz added. The next grant application period will be announced this fall. Those who would like to be notified in advance should send an email to Robinson at hrobinson@emheritage.org. 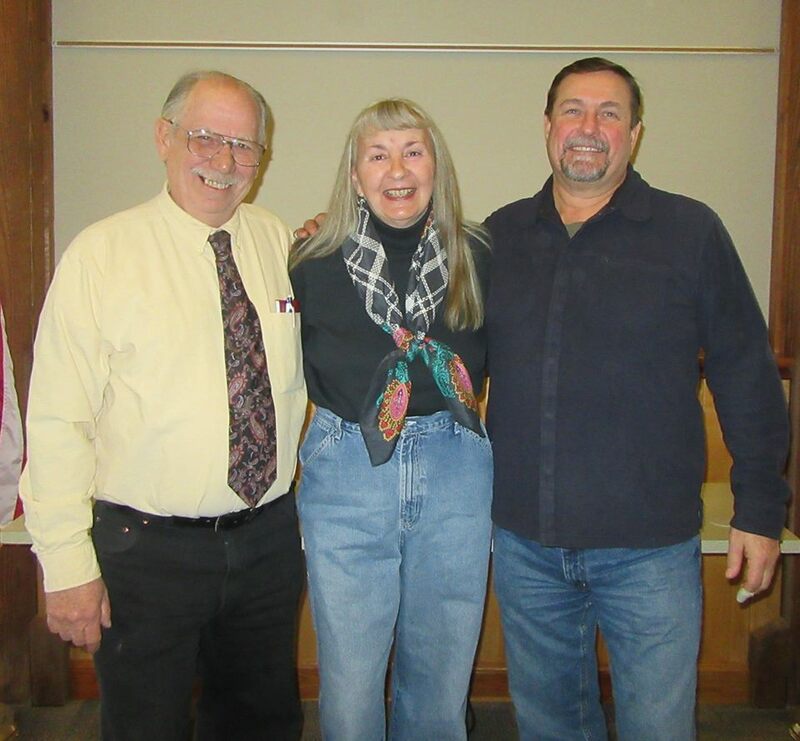 Sullivan County board members who attended the February meeting of the Endless Mountains Heritage Region included (from left) Wylie Norton, Melanie Norton, and John Krakoski. Susquehanna County board members who attended the February meeting of the Endless Mountains Heritage Region included (from left) Ed Zygmunt, Betsy Arnold, Bobbi Jo Turner, and Sandra Wilmot. 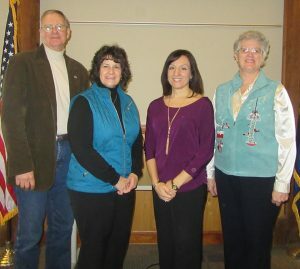 At large board members who attended the February meeting of the Endless Mountains Heritage Region included (from left) Robyn Chamberlain, Bradford County Tourism Promotion Agency; Samantha Phillips, Penn State Cooperative Extension; Jean Ruhf, Endless Mountains Visitors Bureau; and Kevin Abrams, Northern Tier Regional Planning & Development Commission.